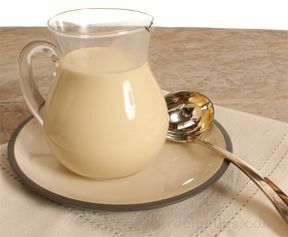 A French term used to describe a light custard sauce that is prepared with egg yolks, sugar, hot milk, and cream. 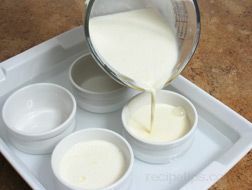 Many recipes for Crème Anglaise use a combination of milk and heavy cream (similar to double cream in Britian) while others suggest half and half or all cream. 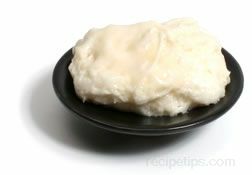 Translated into English from French, the name for this sauce becomes English Cream, a light textured custard that can be poured like a thin sauce. Often referred to as a pouring custard or a pourable sauce, Crème Anglaise is a stirred sauce rather than a cooked sauce, such as a crème brulee. The ingredients are stirred over low heat between 158ºF to 185ºF (70ºC to 85ºC) to keep it from curdling and cooked until the sauce thickens to the desired consistency. 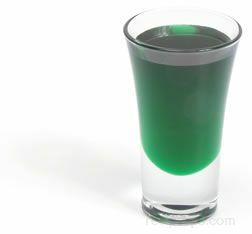 Favorings such as vanilla bean, vanilla extract, chocolate, coffee, rum, or cognac are often added to enhance the taste. 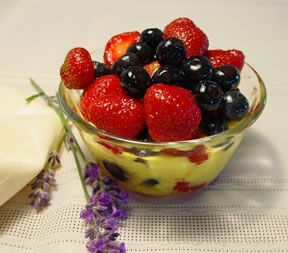 Crème Anglaise can be served warm or chilled and is usually served as an accompaniment that is served as a topping for desserts such as ice cream, pudding, pies, cakes, sweet breads, and fruit. 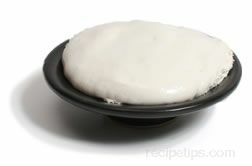 Another sauce that can be made with similar ingredients as Crème Anglaise is Crème Patisserie or Pastry Cream. Crème Patisserie is made using the same recipe as Crème Anglaise but with the addition of flour or cornstarch in order to stiffen the texture so it does not run or is not pourable. It is made most often for use as a filling for pastries such as eclairs.